We cut the first peony flower of the 2013 season today! Isn't it a beauty! 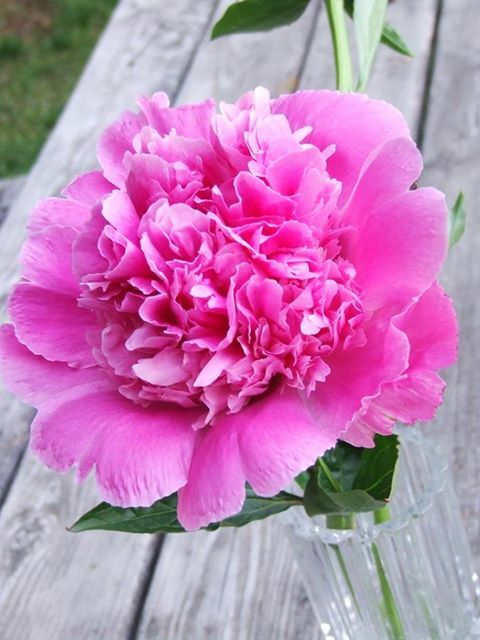 This is a nice large, very full and very nice pink colored peony. We cut 3 peonies just like this on today. If this peony season is like ones of the past then tomorrow that number of flowers we cut will double or triple, and the next day the same thing will happen. Then on about the 4th or 5th day the peonies will start popping faster than we can cut them. We are expecting that the peonies will be in full bloom by the beginning of next week.